Here at the Jersey Shore we've been waiting for years for a Whole Foods Market to open in the area. There have been teasers and rumors of a location opening, but nothing panned out. 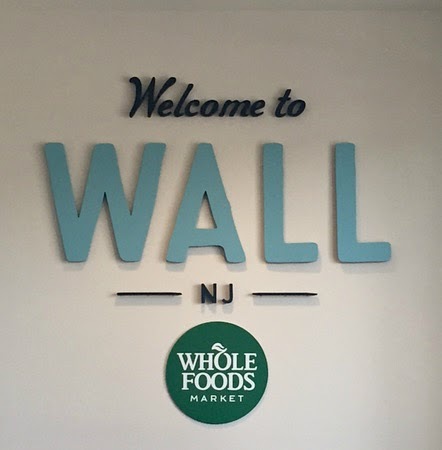 Then to our surprise, Whole Foods Market announced on its Facebook page that a location would be opening in Wall, New Jersey in the spring of 2016. Collective cheers were heard all over Monmouth and Ocean counties. People were rejoicing. A Whole Foods would finally be less than a 40 minute drive. In less than 48 hours, the Whole Foods Market will open its doors to hungry, health-conscious consumers and foodies from the Jersey Shore. 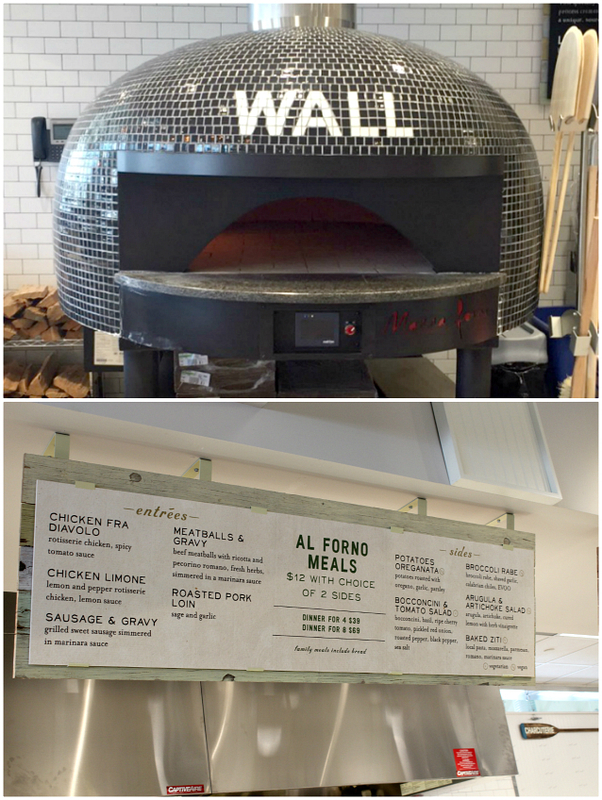 Today, I was invited to take a sneak peek at New Jersey's 15th and newest Whole Foods Market. The 39,000 square foot store has a coastal theme and is absolutely gorgeous inside and out. 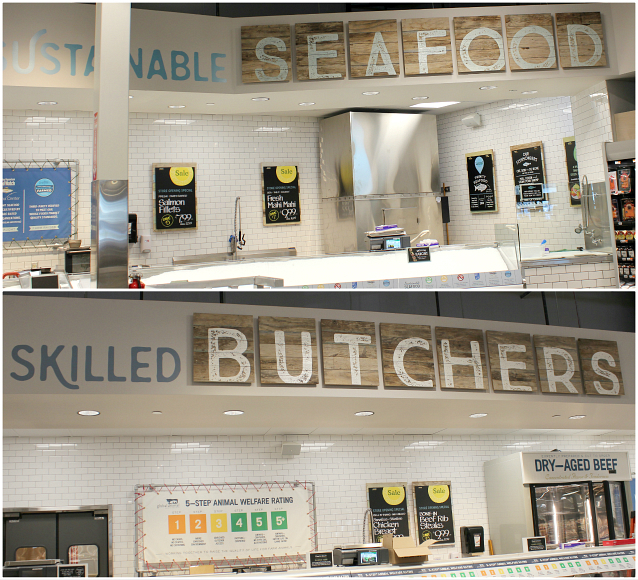 The Whole Foods Market in Wall features full service seafood and meat counters with locally sourced foods. No one is left behind, including beauty buffs. 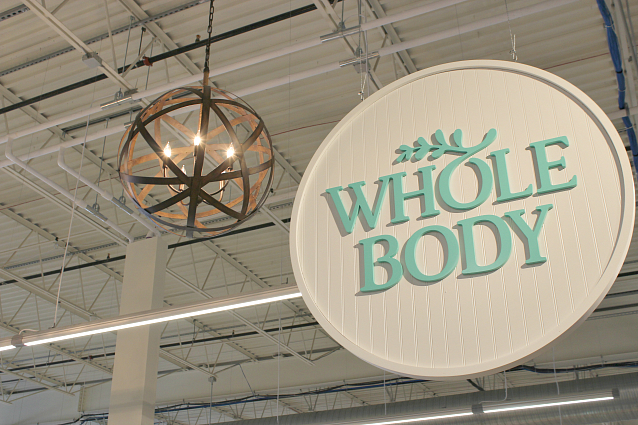 You'll find bath, body, and baby products that meet the highest Whole Foods' standards. There are also candles and clothing as well. 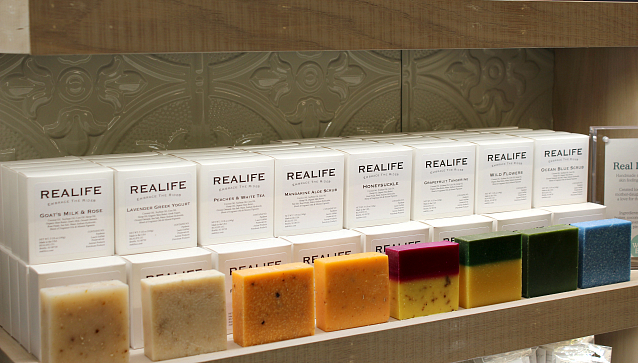 I can't wait to try to this locally made soap from RealLife Co. It's smells as pretty as it looks. 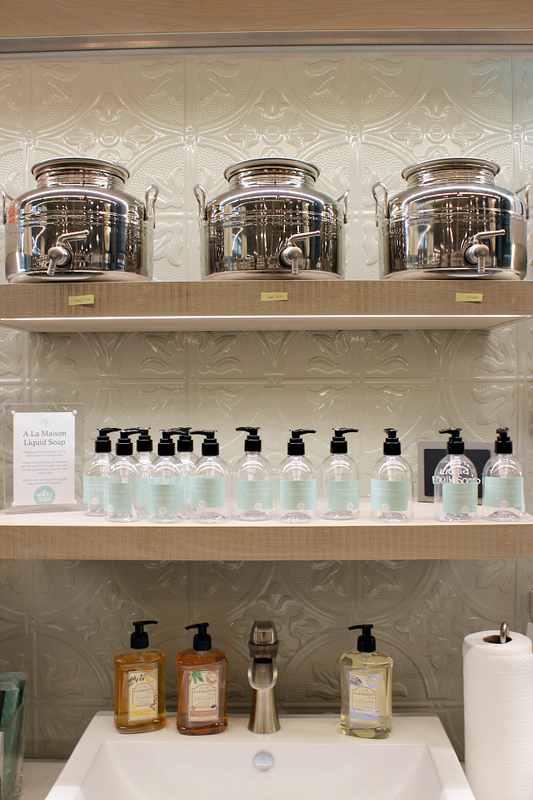 I love this fill-your-own soap station featuring A La Maison liquid soap. This sweet scented soap is produced using a traditional French milled process that dates back to 1928 in Marseille and is available in 3 different scents. 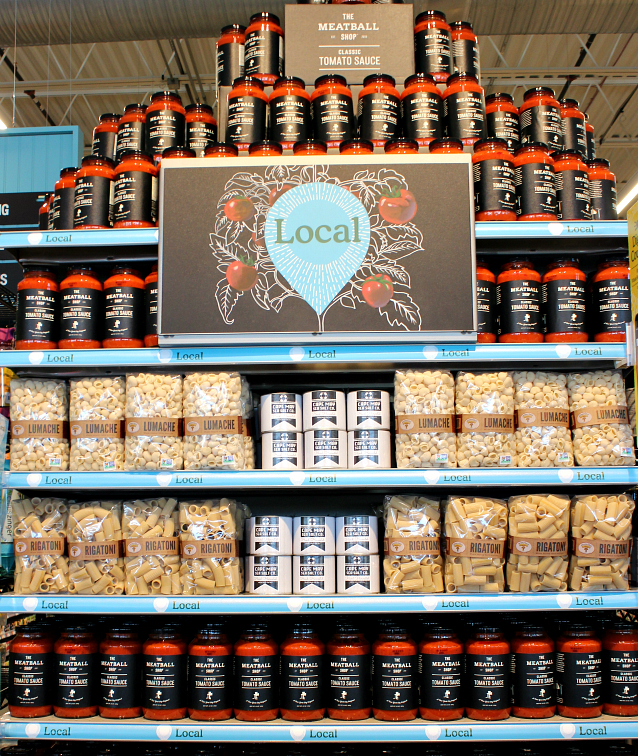 I've been a Whole Foods Market devotee for many years and one of the reasons is its support of local merchants and artisans. 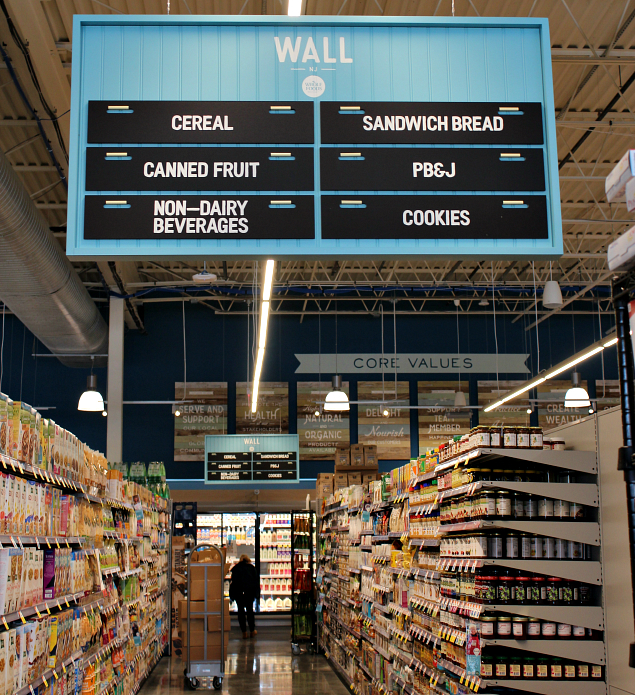 The Wall store has an end cap dedicated to highlighting local artisanal food, including pasta, marinara sauce, and sea salt. I won't be long before these aisles are bustling with happy shoppers. 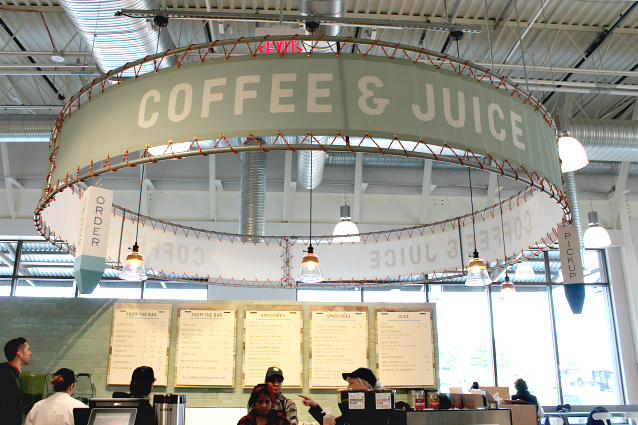 And of course, my favorite...the coffee and juice bar!!!! Ahhhh. I cannot wait to grab an iced coffee and a muffin and relax in the cafe! Speaking of cafe, it's nestled just off the prepared foods area and is bright and airy and the perfect spot for lingering over a salad, a pastry, a cup of coffee or a smoothie. Obviously the bakery wasn't fully stocked for our tour, but there was a sampling of freshly baked muffins that we were all more than happy to taste test. They were delicious, by the way. The prepared foods section features a variety of delectable treats including a nod to Italian specialties. Many of those specialities are prepared in this wood burning oven. Sandwiches and pasta baked to perfection. Mmmm! To celebrate the grand opening, Whole Foods Market is offering all sorts of specials, including those shown below. Also, the first 200 people in the door on Wednesday, April 13th will receive a FREE canvas tote. If you are looking to save even more money, download the Whole Foods Market app for exclusive coupons, recipes, and shopping lists. The official "Bread Breaking" ceremony will begin at 8:30 am on Wednesday, April 13. There will be local vendors on hand doing demos, and Driscoll's Berries will be there with a special display where you can guess the number of berries to win a prize. To download a $10 coupon to put towards your $50 purchase, click here. To stay in the loop of all the pre-opening and opening day excitement, follow Whole Foods Market Monmouth County on Facebook.